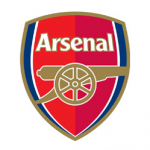 Under pressure Arsenal boss, Arsène Wenger, brings his team to the Hawthorns for the early game on Saturday with his counterpart, Tony Pulis, aiming to disprove the feeling that his teams give up on reaching 40 points. In order to do that, however, he will need to change his approach to games against the top sides. A statistic emerged this week that the Welshman’s teams have a win percentage of just 13% after hitting the 40-point mark, borne out by Albion’s experiences last season and the fact that he is yet to lead a team to a top half finish in the Premier League. The Baggies have only lost two games since hitting the magic mark, but with five of the top six to play before the end of the season, plus a resurgent Leicester City, points are looking hard to come by. That is particularly true this season given the remarkable difference in the Baggies’ record against the top seven and the rest. Against the teams currently below them in the table, Albion have averaged more than two points per game, while picking up just one solitary point against their nine matches against the top seven. In the equivalent fixtures last season, they had picked up ten points, albeit that Everton and Chelsea were a little lower in the table. That is an average of 1.1 points per game much closer to the 1.4 they managed against the remainder of the division. Looking further at the statistics from those games, it can be seen that Albion’s attempts on goal and on target are significantly lower against the top seven this season, compared to the remainder of the division, a disparity that wasn’t present last season. That suggests that there is a distinct difference in approach when facing the top sides this season. There has been no doubt that Albion have been much better going forward against the bulk of the division, but these stats suggest that Pulis has reverted to type against the top sides by adopting a defensive approach, something that has been easy to see from the stands. The results suggest that it hasn’t worked. Last season, some of the more memorable performances were against the top sides, including a victory over Saturday’s opponents, Arsenal, but while Albion’s approach and record against the rest of the division has been much improved, games against the top seven have been disastrous. If Pulis does want to show that he can manage a side to a top ten finish, that will need to change, and given their recent form, the Gunners at home is probably the easiest of those five games against the top six. Albion need to be solid at the back and frustrate Arsenal’s quality front men, but they need to retain that ability to break quickly that has served them well this season, something they have largely failed to do against the big boys this term. This is a great opportunity for Pulis to hit back at the doubters once again, something he regularly does. Albion are capable of getting the three points, but I think they might have to settle for one.